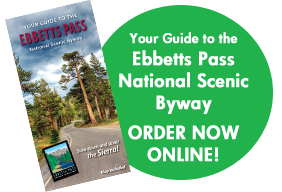 The Ebbetts Pass Scenic Byway Association formed in 2006 as a non-profit corporation to preserve, enhance and promote the unique resources of the Ebbetts Pass National Scenic Byway. EPSBA is a state tax-exempt corporation and a federally recognized 501(c)3 tax exempt corporation. 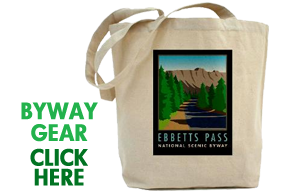 Joining the EPSBA is an extraordinary opportunity for you to become an integral part of preserving and enhancing this national scenic treasure for current and future generations to come. Select your level of membership below. PayPal to make your membership payment.